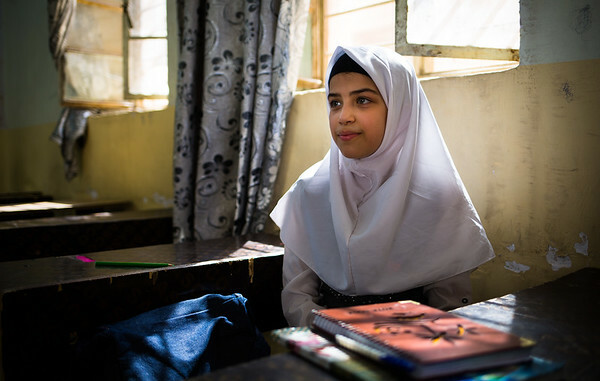 Fatima, 10 years old, studies at Faihaa school in Basra. "Many of us bring our own water bottles to school but the children from the poorest families can't afford it. They have no other choice but to drink the tap water, which is polluted. We started school one week ago but some of my friends are already sick because of the water and have to stay home or at the hospital."